Betting on chess is a great way for chess lovers to add even more excitement to the experience of playing chess and following big chess tournaments. 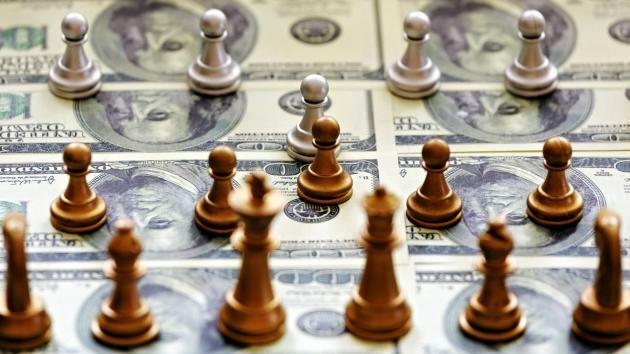 Chess betting is becoming increasingly popular, and many online bookmakers are offering betting options at some very competitive odds for biggest chess events: the FIDE Chess Grand Prix, the World Chess Championships and the World Cup. To place a bet, you will need to register at your chosen bookie and deposit certain amount of money. Make sure to use some of the great welcome bonuses you are eligible for as a new customer. After making a deposit, you are supposed to place your bet. You should also get familiar with the odds, as these can really help you decide who to bet on. The most common way to bet on chess is to bet on who will win a tournament or who will win an individual game. In the former case, your task is to predict who will be the winner announced by the tournament’s governing body. In the latter case, you are simply betting on the game outcome: who will win that particular game or is it going to be a draw. Currently, you can bet on who will win The Candidates Tournament 2018 in March and on the results of the individual games of the first round: Levon Aronian vs Liren Ding, Fabiano Caruana vs Wesley So, Sergey Karjakin vs Shakhryar Mamedyarov and Vladimir Kramnik vs Alexander Grishchuk. (At the moment, the odds are suggesting that all four games will be drawn.) You can also already place your bets on who will win the World Chess Championship in November 2018, to be played between Magnus Carlsen and the winner of the Candidates Tournament, with odds currently favouring Carlsen. Sometimes there are also other options to choose from, such as betting on what kind of opening will players use and whether the total number of moves will be below or above a certain threshold. Predicting the outcome of chess games is not easy, especially at a grandmaster level. However, you can still increase your likelihood of winning by doing your research before placing your bet. A pretty straightforward way is to compare the ELO ratings of the players: as a rule of thumb, the higher rated player has better chances to win. You can also check the players’ favourite openings, because certain openings work better against certain defences than others, and players themselves often try to exploit their opponents’ weaknesses by playing particular opening strategies. Another way you can improve your betting prospects is by looking at the history of previous matches played between certain players, to notice if there is a pattern in their previous encounters. Finally, instead of betting on famous tournament, you can also play chess for cash. In this type of betting, whoever wins the game, wins the bet too. If you are a skilful chess player, this is a great way to put your skill to good use and win some money! Good luck! Which game demands higher intelligence? Chess or poker? 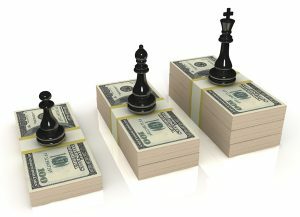 Is Playing Chess Online for Cash Considered Gambling?